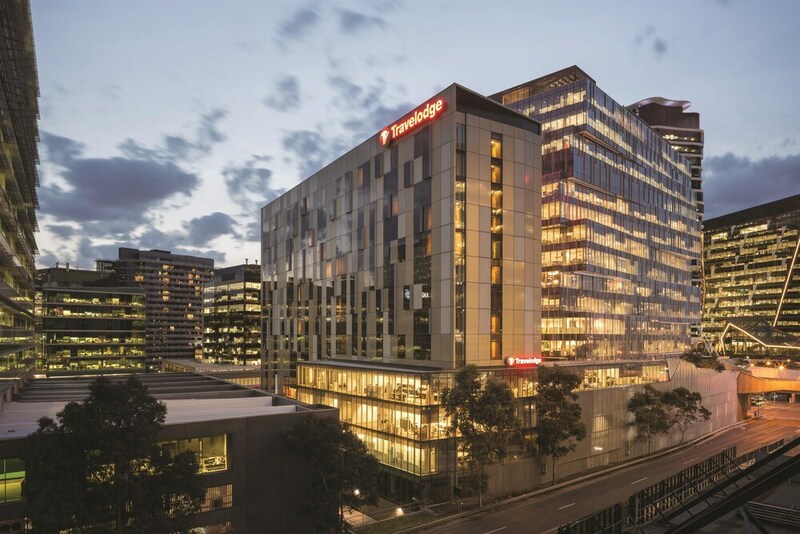 With a stay at Travelodge Hotel Melbourne Docklands in Docklands (Melbourne Central Business District), you'll be within a 15-minute walk of Marvel Stadium and DFO South Wharf. This 4-star hotel is 0.7 mi (1.2 km) from Festival Hall and 1 mi (1.5 km) from Melbourne Convention and Exhibition Centre. Make yourself at home in one of the 291 air-conditioned rooms featuring kitchenettes with refrigerators and microwaves. 32-inch LED televisions with digital programming provide entertainment, while complimentary wireless Internet access keeps you connected. Conveniences include phones, as well as laptop-compatible safes and desks. Take advantage of the hotel's room service (during limited hours). Buffet breakfasts are served on weekdays from 6:30 AM to 9:30 AM and on weekends from 7:00 AM to 10:00 AM for a fee. Featured amenities include a business center, express check-out, and complimentary newspapers in the lobby. Planning an event in Docklands? This hotel has facilities measuring 1152 square feet (107 square meters), including conference space. Self parking (subject to charges) is available onsite.